Happy Flash Friday! 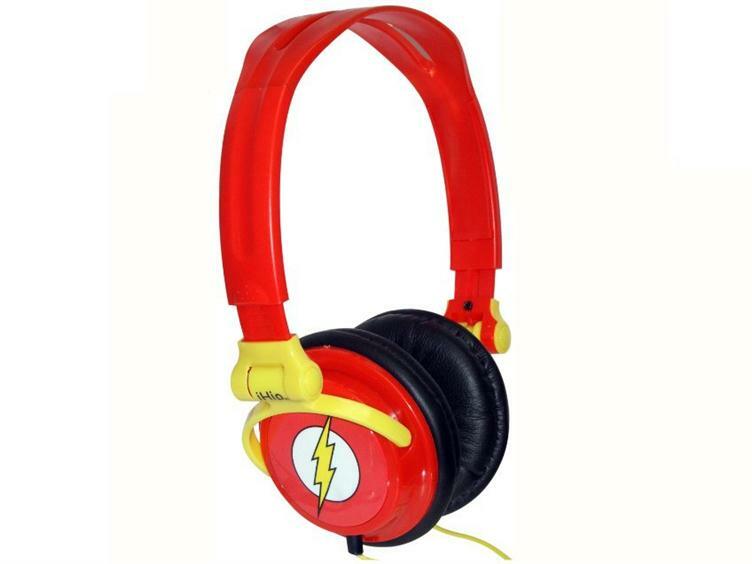 After talking about so many kinds of Flash branded merchandise I love finding something new to talk about. I like it even more when it is more then one thing and they are all similar enough that they can be grouped together in one article. Today’s post is exactly that, iHip is coming out with a line of earphones with DC branding. The good news is they have more then one Flash item to talk about. The cheapest of the three items we’re going to look at are probably my favorite of the bunch. The design is so simple and perfect. Color coordinated earpieces and wires with a Flash symbol on each earbud. I’ve talked before how I’d rather have a symbol over the character and I feel the same way here. I’ve seen the price of these buds between 10 and 13 dollars. I’ve seen this version available at some online retailers and a pre-order at the others. The other two versions I’ve only seen as pre-orders so far. The next item is also a pair of earbuds. In fact the colors of the piece are identical to the one we just talked about. Instead of the symbol on the buds the image is replaced with a picture of the Flash’s head. It doesn’t look like you can see the eye color, so I guess you could pretend it is whichever Flash you want. For no reason that I can find, the pre-order price on this one is 15 dollars, I’ve no idea why it is more then the other earbuds. The largest and most expensive of the trio are the folding headphones. 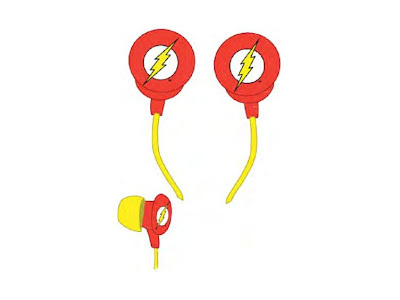 As you can see it keeps the same color scheme as the earbuds all the way down to the yellow cords. I’m happy to see they went back to the Flash symbol instead of his face; it’s just a cleaner look. The description says they are folding, but I’m not sure how much they’d be able to fold up from the picture. 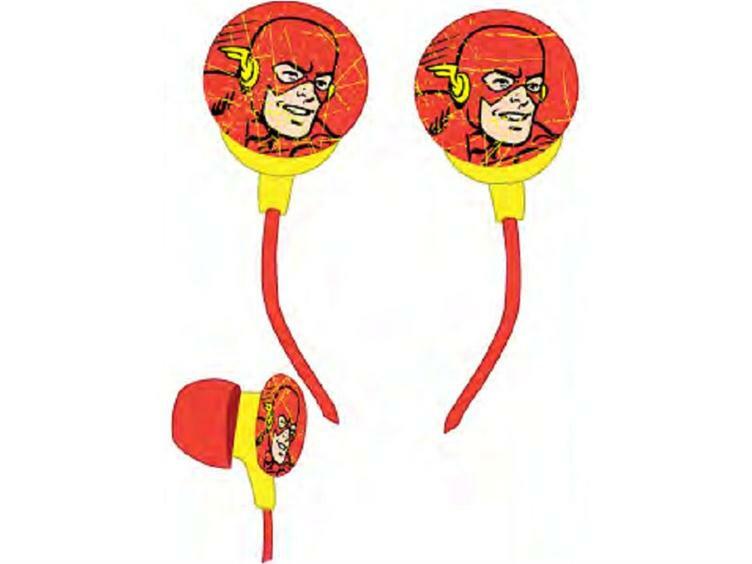 Obviously the headphones will be more then the earbuds but these still come in at the 20 dollar price point. I haven’t tried any of these, so I can’t comment on the sound quality. If you’re a big audiophile you probably aren’t buying 20 dollar headphones anyway. I’m most likely going to order the first set of earbuds, just because they wouldn’t take up much space in my display case. Ihip also does Batman, Green Lantern, Superman, Wonder Woman, and Marvel versions so there are plenty of options out there if you don’t want to rock the red and yellow. These are awesome! You know where I can order the overear ones? This is a cool headset, though I'd still prefer a custom 250 Turtle Beach Ear Force PX5. you ought to be very pleased with your new TV to yes movie. No cost movies are offered through public domains watch movies on 123movies. Downloading movies is quite painful and tedious on 123movie. The newest generations of slimmed down headphones bring high resolution music or home stereo sounds directly to our ears no matter where we are. English is the default language for those subtitles on movie4k movies. Q Desire Stream Movie2k Secrets That No One Else Knows About Type of Q Desire Stream Movie2k The exact poor consume, but only the most fundamental goods. Site offers some in-depth insights on Watch Full Movies in hd For Free - 123movies. Watch your favourite movies as you browse the site or discover the Smart Hub. Source for more interesting information on xmovies8online. Watching totally free movies on the internet is legal but all websites aren't running legally. More information on movie4kmovies this web. You're not intended to get attached to them. What some people may come across interesting of fmovies.accountant others might not. As you can opt to stream movies on them, it's important to remember that it's piracy. 123movieser.com offers some in-depth insights on 123movies. It's a mad house! A MADDD HOUSE!